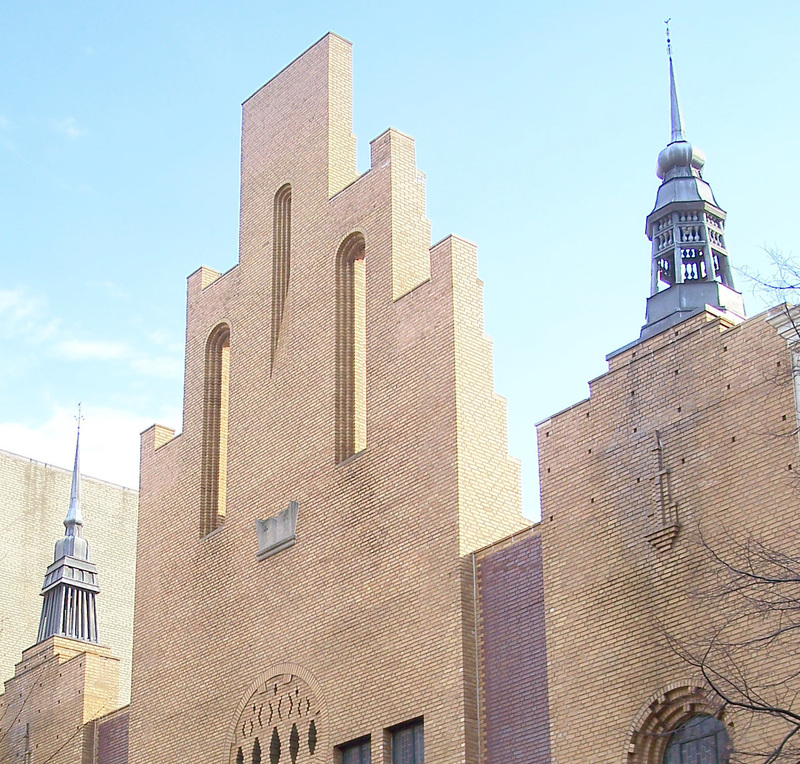 Trinity was founded in 1867 as The First Swedish Baptist Church of New York. We dedicated our current building on January 24, 1931 and officially changed our name on January 25, 1942. This latter date also marked the transition from Swedish to English in the major services. 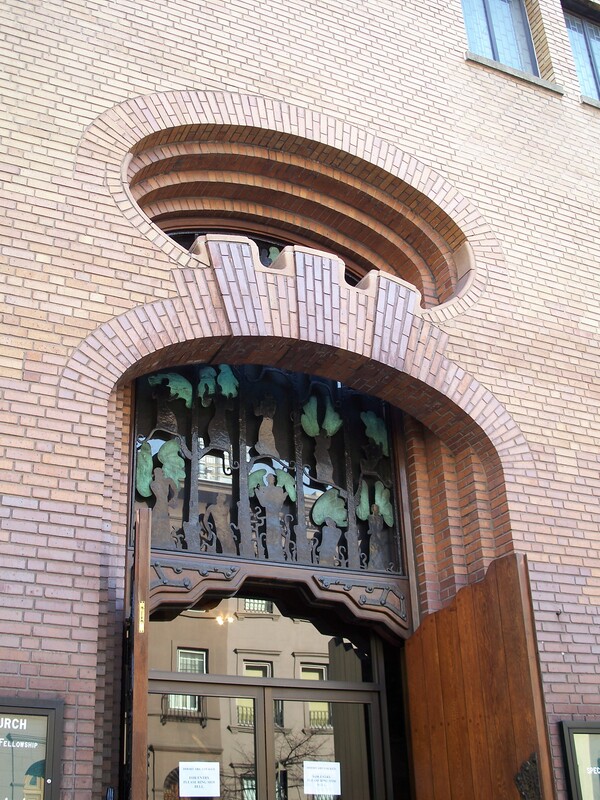 Evidence of our Swedish roots are visible in the unconventional architecture of our building. The story of our church and our Baptist heritage is clearly seen in our beliefs. We emphasize Christ as Savior, the Bible as authoritative for faith and practice, believer’s baptism by immersion, a regenerate church membership, and democratic organization. Today, Trinity Baptist Church is remarkably young and vibrant, but the congregation has a long history. Our enjoyment of Trinity’s ministry owes much to the legacies bestowed upon us by past visionaries and dreamers, whose hard work shaped the nature of our church. Origins Evangelized during visits to the United States in the mid-nineteenth century, Swedish sailors returned to their country enthusiastically sharing the Baptist emphasis on grace and salvation. However, they suffered persecution and banishment because they did not use pastors appointed by the official state church, preferred immersion instead of infant baptism, and worshipped at home meetings. Many Swedish Baptists fled to seek refuge in America. Incorporation Captain R. E. Jeanson of Gothenberg converted to the Baptist faith and settled in New York in 1865. Under his leadership, fifteen men and nineteen women met to found the “First Swedish Baptist Church of New York” on Sunday, December 22, 1867. 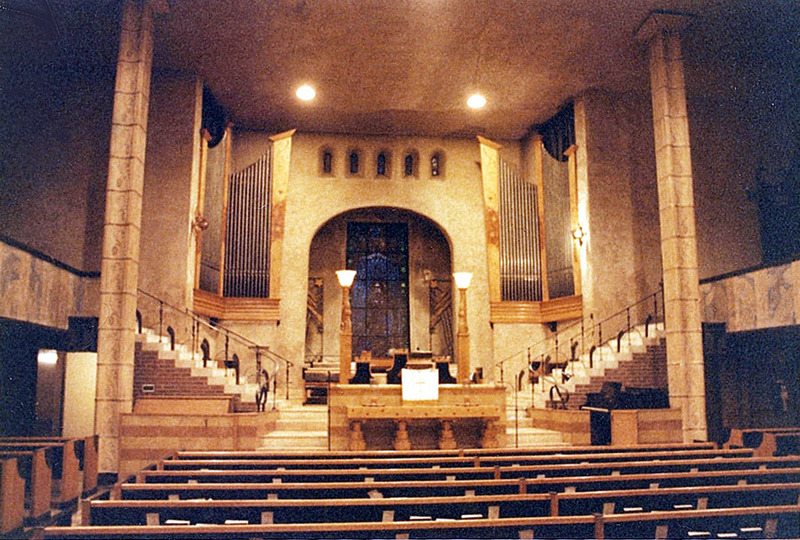 Initially worshipping at the Mariner’s Church near the docks in lower Manhattan, the congregation moved uptown to the Colgate Chapel on 20th Street in 1884. Then, as the congregation grew and prospered, it bought its own building on 27th Street in 1893. Prosperity Although its beginnings were humble, by the turn of the century the Church spawned three daughter congregations in Brooklyn, New Jersey, and the Bronx. 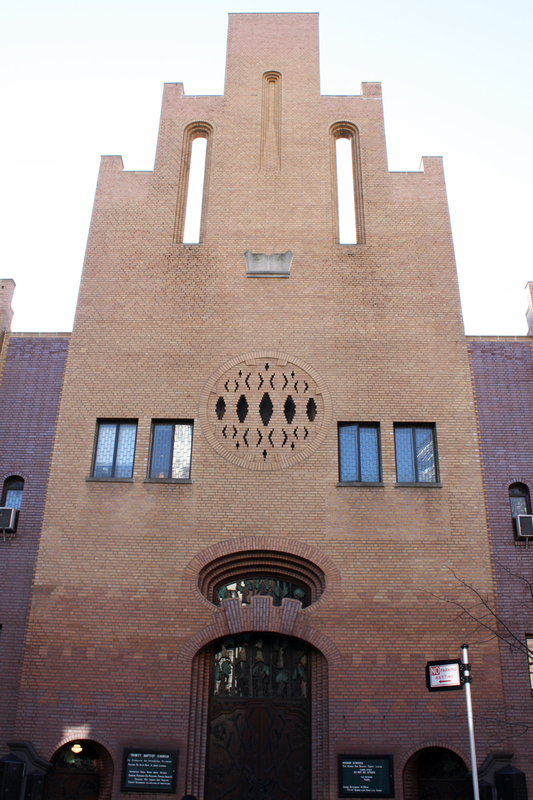 In 1899, it purchased a larger church on 55th Street, from which it ministered to the growing influx of Swedish immigrants. Recalling its origins, the church sent missionaries to the docks to draw new arrivals into the church and provide them a spiritual home. New Building In 1929, a building boom, accompanied by rising property values, enabled the congregation to sell its worn-out building to developers. With the proceeds, they purchased land on 61st Street, and decided to build a new, first-class building. Martin Gravely Hedmark, architect, designed a beautiful and richly symbolic church home dedicated on January 21, 1931. Decline Even the new spirit of cultural inclusiveness could not stave off the eventual effects of the great exodus to the suburbs that took place in the 1950s and 1960s. By the mid sixties, it was questionable whether Trinity could last much longer. In a time when scores of New York City churches were closing their doors and selling their property to developers, it seemed only a matter of time before Trinity would be one more church in a city’s past. Vision Trinity kept its doors open in these difficult years thanks to the foresight and leadership of the Baptist General Conference (a network of Baptists across the USA) and the efforts of a small cadre of committed New York Christians. 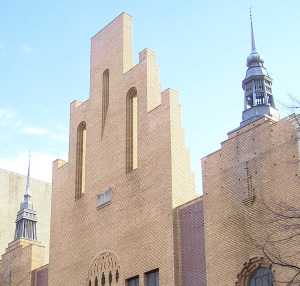 There was a renewal of commitment to the future of Trinity–a belief that a new congregation would rise up to be a witness for Jesus Christ on Manhattan’s East Side. Restoration Visionaries foresaw the long-term possibilities in the urban renewal of New York. The dismantling of the elevated trains on Second and Third Avenues paved the way for slum areas to regain new commercial and residential value. What had become an ugly part of the city suddenly became one of Manhattan’s most attractive and New York society began to move into the East Side neighborhoods. Today, the area surrounding the Trinity building is a center for many of the activities for which New York City is famous. Revival In the 1980s, Trinity began to see the possibilities of new life. In the 1990s, it witnesses a renewed interest in spiritual and personal values. While its congregation grows at incredible rates, Trinity set new standards of excellence as it meets the spiritual needs of the new urban person: a congregation which believes strongly in the gospel of Jesus Christ and clearly perceives how to share that gospel with today’s New Yorker. Today, Trinity continues to draw in and welcome a steady progression of newcomers to New York, integrating them into a unified spiritual fellowship. It serves New Yorkers with the same hospitality it has shown since 1867. With an impressive variety of races, cultures, personalities, and professions, Trinity’s people participate in a spirit of love and caring that suggests the presence of God. Worship A visit to Trinity when people gather to encounter God in worship and one another in fellowship is a powerful experience. One feels the vitality of men and women who step from the pews of the sanctuary to lead various parts of the public services. A surprising breadth of contemporary to classical forms of worship prevail, as services move quickly back and forth from traditional chorales or ancient creeds, to the exuberant notes of gospel songs and contemporary prayers. The number of open Bibles and notebooks when sermon time comes indicate the commitment and intensity of the spiritual quest of Trinity. The Future The ministry of Trinity Baptist is vital to our city. We believe it will endure for the benefit to future generations for many reasons. Evangelical witness in a world class city is of utmost importance. In a world becoming increasingly urbanized, Trinity is committed to applying the gospel of Jesus Christ in ways uniquely understood by city people. 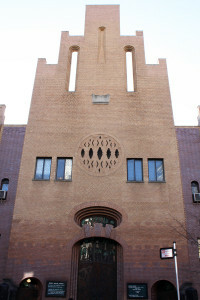 Trinity is one of a very few Evangelical congregations on Manhattan’s East Side, an area of more than a half million people in a city of over eight million. Trinity is strategically located to draw, develop, and infuse the presence of Christ in young men and women who are on the “cutting edge” in world financial institutions, the greatest medical and research facilities, influential educational institutions, major business organizations, world diplomacy at the United Nations and embassies, famous cultural and entertainment centers, and the power of the media, advertising, and retailing industries. Trinity will be a place where men and women will continue to come to study, model, and develop the processes of new urban ministries. Worship and Meditation Our church building inspires worship–and we appreciate it, not for itself, but for the sources in the Word of God to which its symbols direct our attention. Spend a silent afternoon, or a day, in the Trinity sanctuary, with a Bible and a concordance. See what you have not seen before. Meditate on the significance of each of the references represented here: the scenes in Christ’s life and ministry, the baptism of the Spirit and water, the vine, the garden, the bread and wine, sowing and reaping, the dove of the Holy Spirit, the all-knowing God, and a multitude of other themes. Such a quest will enrich your every moment of worship experience at Trinity and equip you well for life in Christ.